Five Emerald Limousine provides world-class airport car service with competitive rates. Because the customer is the most important part of our business, we treat everyone as a VIP. As a result, we’re the top-ranked airport car service company on Yelp. Check out our reviews and testimonials. We know how important is your time therefore we provide experienced chauffeurs to pick you up at private jet center. 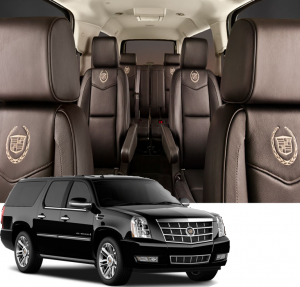 Moreover, we can offer some our VIP vehicles such as Mercedes S 550, BMW 750 LI , Tesla, Audi A8 or Cadillac Escalade SUV. Why Our Private/Small Airports Car Service? Arrivals: We use tail # you provided to check your flight status, every ten minutes, to ensure an on-time pickup. Our drivers are experts and are more than happy to provide recommendations. Our goal is to make sure you have a pleasant, safe and memorable trip.